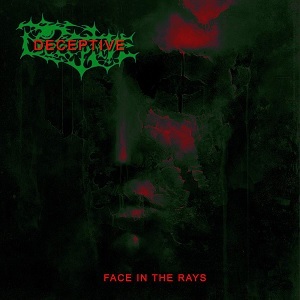 Deceptive's 1997 sophomore reissued is a fascinating glimpse into pre-scene Russian Death/Doom. Though it's hard to imagine now, considering the ever-expanding Russian powerhouse of Doom bands and labels, it's really not that long ago you could quite justifiably argue there was no serious Russian Doom scene, just sparse offshoots of the European Peaceville-inspired schools of extreme Doom, languishing somewhere around a decade behind in development. 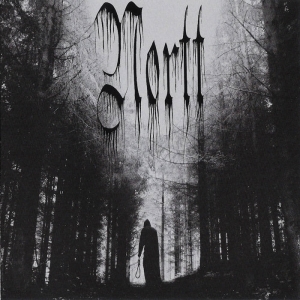 Indeed, labels such as Solitude Productions have told us exactly that: it was in 2003 that they first started to consider how to promote and expand that, and 2005 saw them found the first Russian Doom label. A few handfuls of pre-millennial bands stuck it out long enough to take advantage of that expansion. Most didn't, and whatever recorded output they left behind, in many cases, would be too obscure outside their homeland to even be considered 'cult'. Things have started to come full circle, though: the scene having gained sufficient momentum and support that unearthing some of these older releases for reissue is a viable proposition - as with Endless Desperation's recent treatment of Black Forest's year 2000 demo, 'Sadness'. 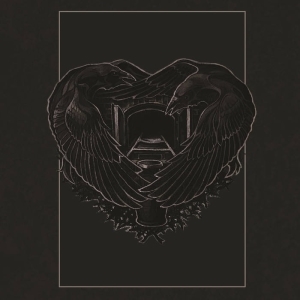 Or, indeed, this re-release by GS Productions of Death/Doom band Deceptive's sophomore album from 1997, recorded midway through the band's '94 to '99 career and with a slightly different line-up to the 1995 debut 'Heart Sweeted Lie'. Deceptive have reformed briefly a couple of times since, though with no subsequent recordings. There's a pretty significant nod to Paradise Lost's output of a couple of years earlier pervading most of 'Face In The Rays': though these are generally less murky and raw-sounding, five of the seven tracks could be fairly comfortably described as leaning towards the 'Icon'-to-'Draconian Times' discography. That may sound somewhat derivative now, particularly in the light of the intervening two decades - during which plenty of other bands have done exactly the same thing - but in the context of its time and location, it was clearly ahead of the curve. The lighter, more melodic approach to the instrumental aspects works well here, as does the inclusion of string and keyboard features. Even the vocals, which aren't especially ferocious when growled, and which bring in contrasting cleans and semi-whispers, have the right sort of measure - though they'd sound quite lost and frail against a heavier backdrop, they fit just fine into this framework. The two outlying tracks, 'Autumn Garden' and - in my opinion - album highlight 'The Journey', are more interesting in their own right. 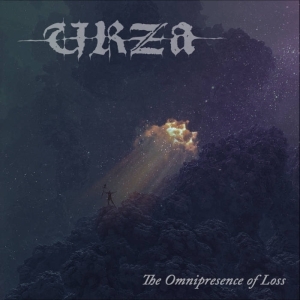 The former is a clean/harsh-duetted piece that mixes effective world-weary atmospherics with some furiously-vented spleen; 'Part I' of the latter starts off, musically, in dark Theatre Of Tragedy-ish Gothic/Death, branches into a guitar solo, then 'Part II' morphs into a riff-and-organ-heavy workout that wouldn't have sounded out of place on an early Mott The Hoople recording - or perhaps a later Pantheist one. Though there was more outright experimentalism on 'Heart Sweeted Lie', that shown on 'Face In The Rays' is more mature, better-directed and shows the progress the band had made in defining themselves. The biggest problem with resurrecting albums like this is obviously that those encountering it for the first time have a lot more contemporary yardsticks to measure it against. On those grounds, some of this will, at best, sound sweetly nostalgic and dated - but even at that, it would make a pretty decent '90s-retro examplar. Deceptive had some very listenable tunes, and good musicians on board - keys, drums, guitar and bass all shine through; the only negative being some of the growl vocals can be a little patchy - and that's something that never goes out of fashion. And if you're at all interested in genre history, this is quite a fascinating insight into what pre-scene Russia could produce, well worth investigating. I think it warrants recommending on both those points: it's only a shame their various reunions didn't generate a follow-up to compare it with.